Change File Type or Extensions in Windows 10 Operating System – File extensions are important to identify the file type which you have saved on your Windows Operating System. If you do not know the file type then it will be difficult to open the file when it is not supported by the device. So if you are a Windows users ten you can know the file type and you can also change the file type if required. So this post explains you all about How to know File Type or Extension and How to Change File Extensions on your Windows 10 Operating System. Every file type or extension will start with a dot (Example – AAA.docx) and you can see many file type and file extensions nowadays. You can also see multiple extensions of a file which can cause malware to your Windows 10 Operating System. But if you try to know the exact file type then it will be easy to handle on your Windows OS. So be careful while you open any file on your Windows Operating System. What are File Extensions and Why are they Added? You can see many different file types like .mp3 for Audio files, .txt for Text Document, .wav, .wma, and many more. So each extension as its own meaning which can be opened in a particular way. So better to see the file extension and then try to open your Windows Operating System. Shockingly, Windows OS doesn’t show the extensions of the file as they are hidden but if you try to see ten you can see by following the steps mentioned below. Open Control Panel, Click on Appearance and Personalization. 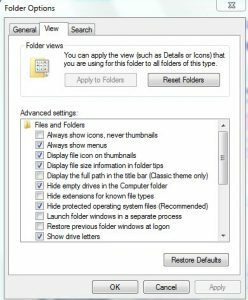 Under Appearance and Personalization, click on Folder Options or File Explorer Option which you can see a new window to set the options. In view tab, you need to change the settings in Advanced Settings category. “Uncheck the box called Hide Extensions for Known File Types” and Click Apply and then OK.
Now go to the folder which you have saved on your Windows Operating System. You can see the extensions of the files beside the name of the file which you have saved. But many users try to use third-party applications to know the extensions of the file as they do not know that Microsoft as given a feature to know the Extensions of the file on Windows Operating System. So you need to careful while you change the file extension or file type on your Windows Operating System. Choose any file which you want to change the file type. Open the file in the default program. Now try to save the file again from the file menu. Click on Save As option and then you can see a new window to save the file in destination folder. Choose desktop and ten enter the File name and then Save as type, coose new file type and then click on Save. So finally, you have changed your file type of the file on your Windows Operating System. So if you have to know the extension of the file type then you can follow the steps mentioned in the above statement. Previous [Solved]-Stuck on Attempting Repairs? – Here is How to Fix It?